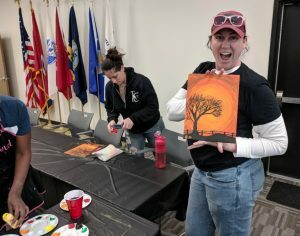 Since opening our doors in April of last year, the Cohen Clinic at Centerstone has sought to create a safe community space for veterans and military families by hosting a wide range of events and activities in our onsite community room. Hundreds of participants have helped forge that community of support and the numbers just keep growing. 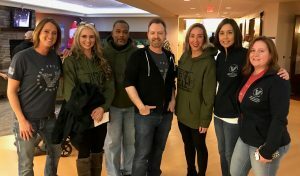 That said, our outreach efforts extend far out into the community as well, and you’ll find Cohen Clinic staff participating in many offsite community events where veterans and mental wellbeing are the key focus. 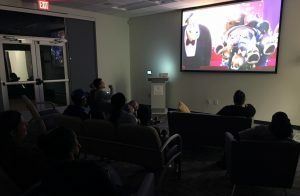 We pop the popcorn and fire up the big screen once a month (usually the third Thursday in the month) for a family friendly movie night. So far, the community room theater has shown Coco, Incredibles 2, Hotel Transylvania 3, and Small Foot! 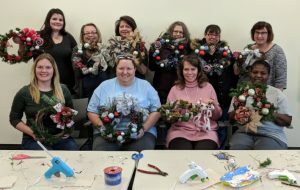 The group’s volunteers first collaborated with the Cohen Clinic at Centerstone in December for a wreath-making event held in the community room. The class was a success, inspiring Arts for Hearts to share their creative passion with us on a regular basis. Beginning in February Arts for Hearts will partner with the Clinic to offer monthly arts and craft events! October saw the first of our art meditation classes hosted by Janay Moreland of Vivid: Art Meditation. These tranquil art sessions are designed to invoke relaxation, promote stress management techniques, and inspire inner peace. Just in time for Halloween, the Clinic hosted a zombie-themed escape room event! Participants had to fight off hungry zombies and escape with the pizza pies! 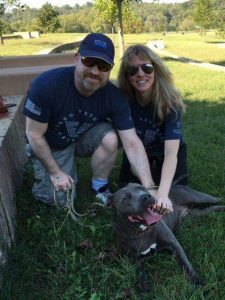 Trails of the Trail is a Tennessee-based nonprofit group that routinely engages the public to hike with shelter dogs from animals shelters across the state. Both the dogs and volunteers get out for some exercise and socialization. Veterans and family members have their registration fees covered by the Cohen Clinic! In cooperation with the Tennessee Suicide Prevention Network, The Cohen Clinic at Centerstone hosted its first ASIST workshop in December. ASIST stands for Applied Suicide Intervention Skills Training, and was offered free of charge to veterans and military family members. The interest level for this workshop was very high, and we hope to offer it again in the near future. through the Yellow Ribbon Fund, and collected non-perishable food items in a food drive. 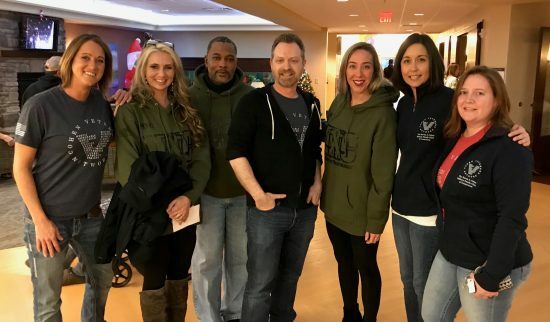 In the days leading up to Christmas, Cohen Clinic staff teamed up with our friends at the VTC and volunteered at the Tennessee State Veterans’ Home, serving meals and helping out as needed! Just days into the new year, the Cohen Clinic at Centerstone held a partners mixer. 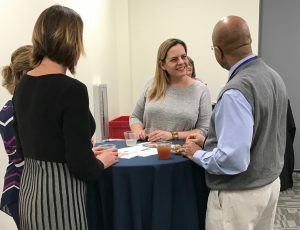 We invited colleagues and fellow health care professionals from organizations, such as the VA, to celebrate our continuing work together in support of veterans and their families.